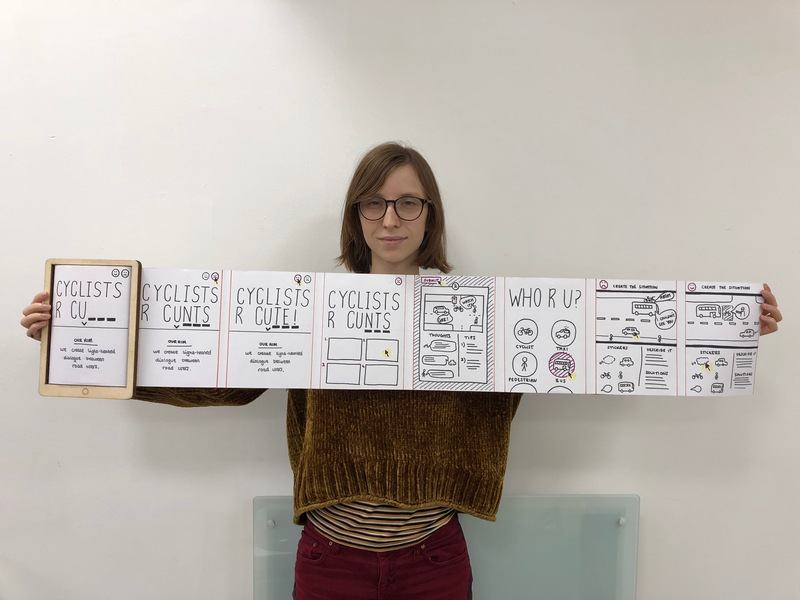 A campaign to create a lighthearted dialogue between road users - away from the heated conflicts of the road. The hostile environment of the road, where all road users fight each other over their status and space. Promotes empathy rather than anger. 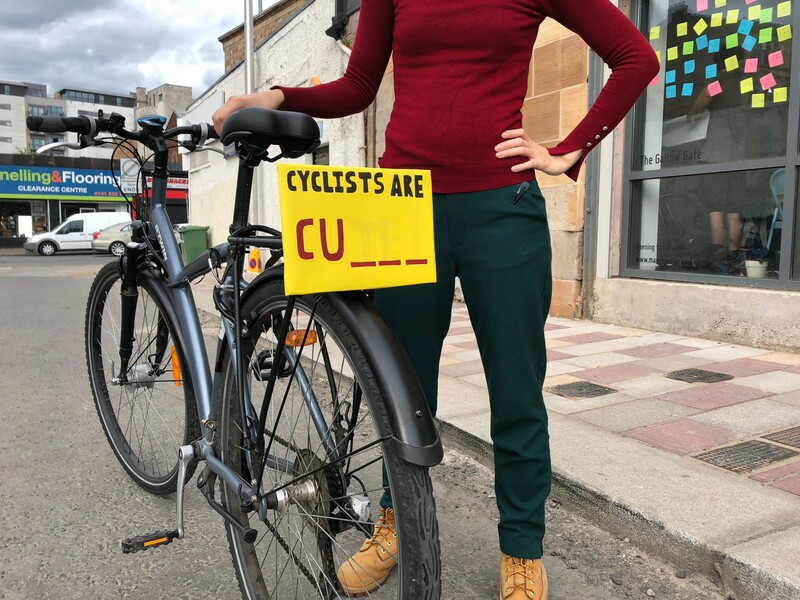 A campaign will be launched throughout the city of Glasgow, with posters, bike accessories, stickers and interactive signs that show the Cyclists are CU_ _ _ graphic. 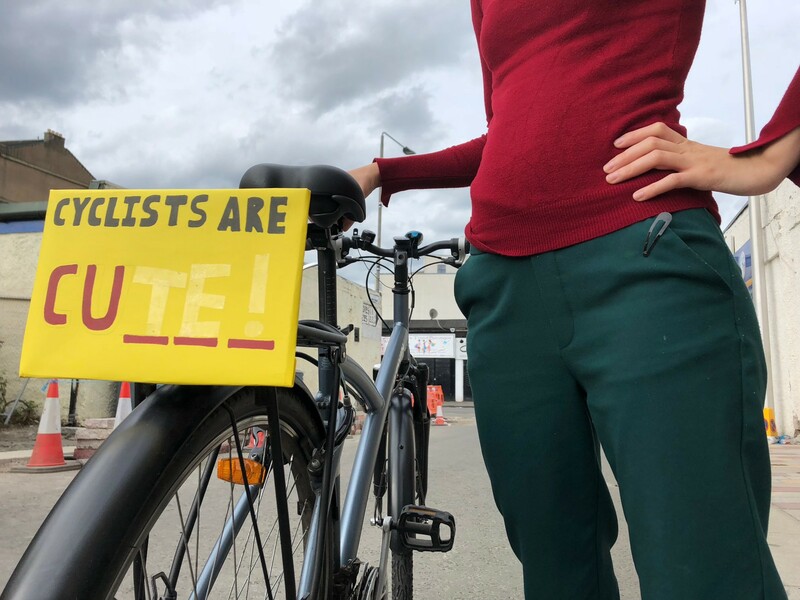 The intention is that people see the negative word, but reflective lettering will only be seen at certain angles, which shows Cyclists are CUTE! 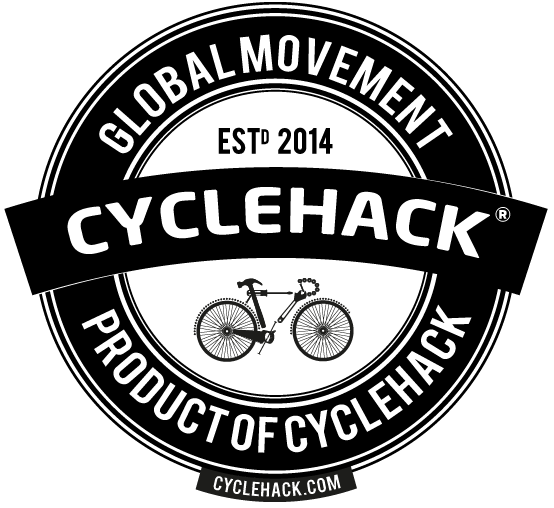 The idea is to make viewers think differently and more positive about cyclists. 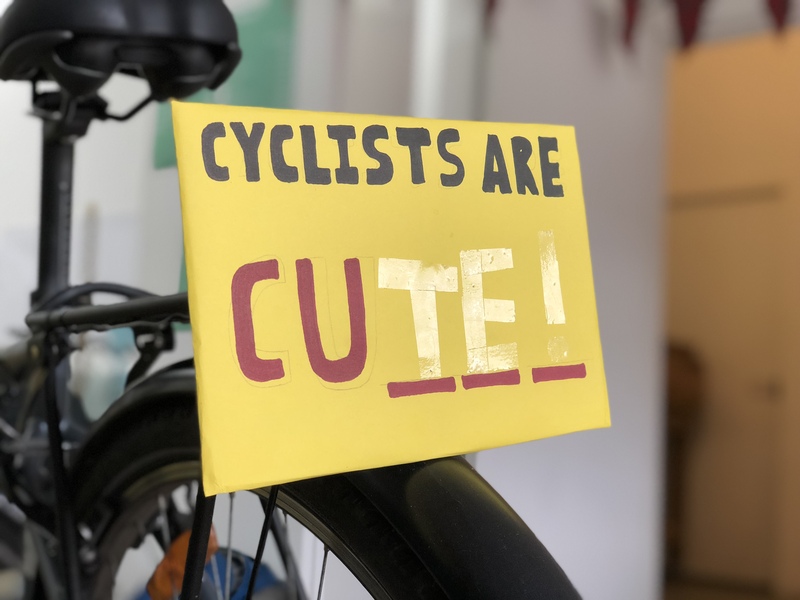 The visual campaign also ties into an online initiative that encourage all road users to have a lighthearted and constructive dialogue with one another. 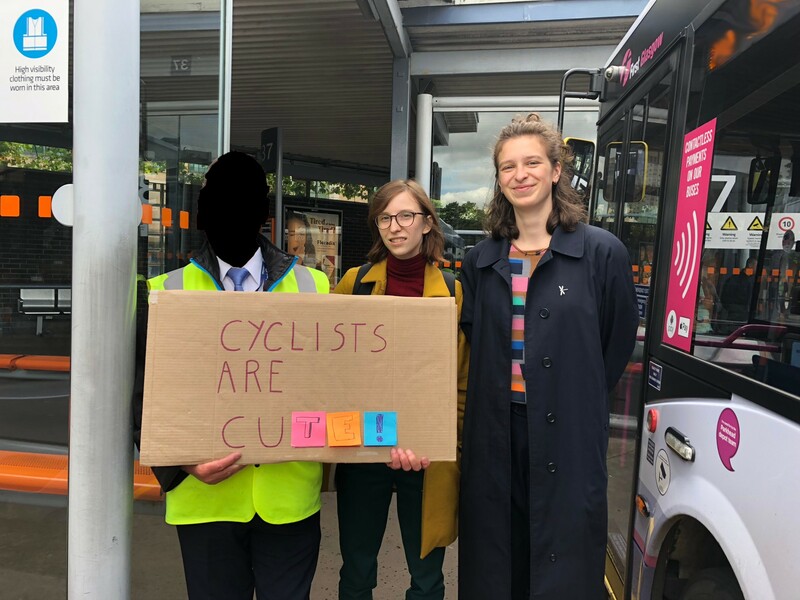 All road users are encourage to share their positive and negative experiences with a particular road user and provide tips on how they could make the situation better. 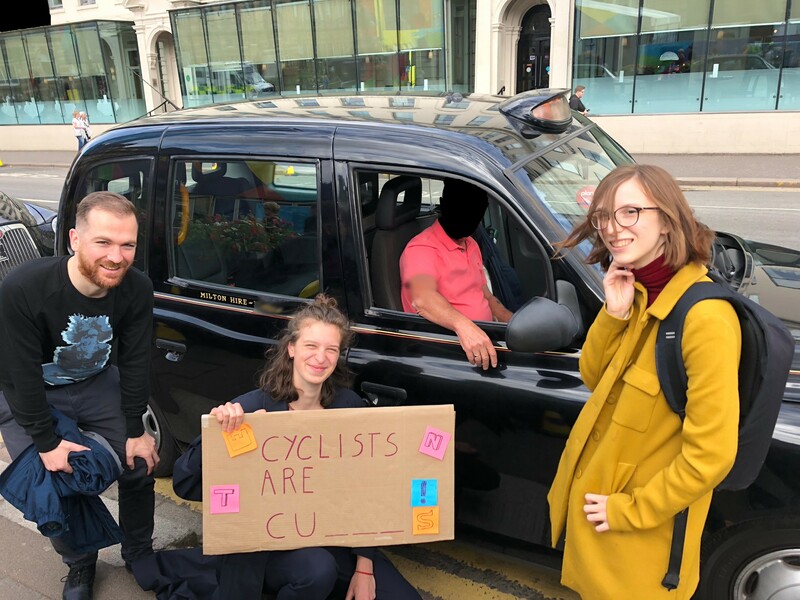 Both the positive and negative experiences would be ranked and listed on the website, where submissions can be upvoted and downvoted - allowing people to see the biggest pet peeves on the road and also what people appreciate the most. 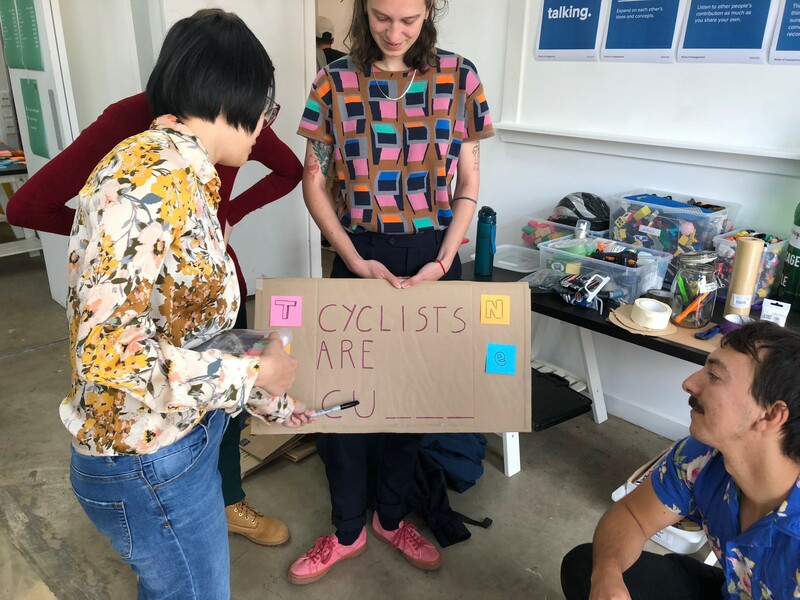 The idea is that all road users can gain an idea of what friction they cause to others, and how they can help reduce that friction - but also what they do well that others appreciate. The website would be moderated to make sure no one is too nasty, favouring constructive feedback. 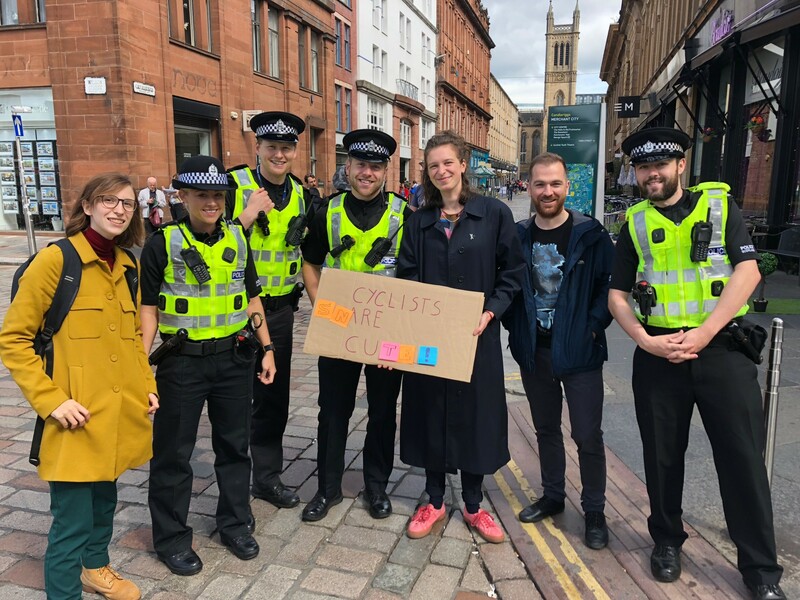 Whenever a negative moment is given, users will also be required to provide a positive - making users consider both sides of the coin. 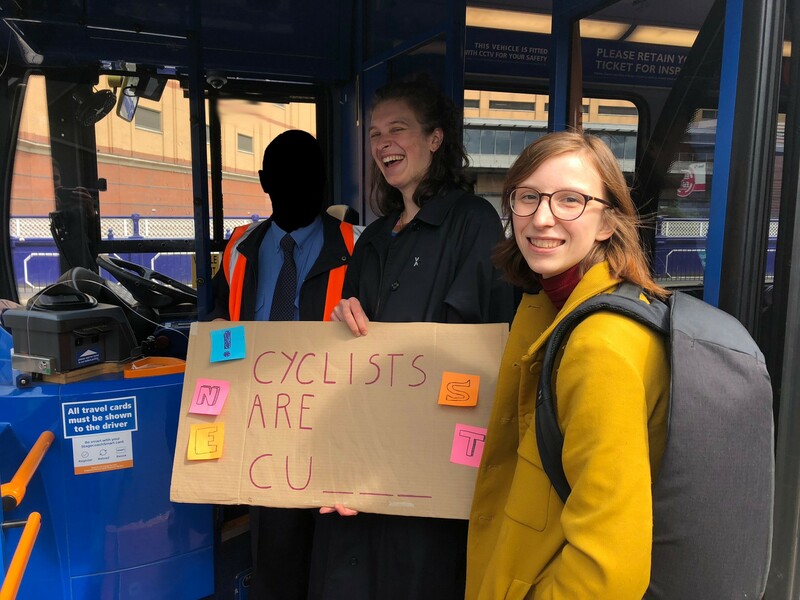 Cyclists are CU_ _ _! (cute) badges are given out as an incentive to take part.